The AKÏN team was privileged to have hosted Mr Kenneth Chan, the former CEO of McDonald’s China, at our second SLC session on 11th May 2016. After starting out in the McDonald’s Singapore team in 1993, Kenneth steadily gained experience across different business spectrums of the company, like marketing and restaurant operations. He eventually rose through the ranks to become the Managing Director of McDonald’s Singapore, and was subsequently appointed the CEO of McDonald’s China in 2009. 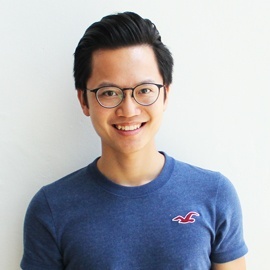 Kenneth’s leadership has won him and the company numerous accolades, including the Leading CEO Award by the Singapore Human Resources Institute (2007), the Service Excellence Award (2008) and Outstanding CEO Award (Overseas) at the 2013 Singapore Business Awards. Aside from sharing his experiences on doing business in China and the importance of localization, he also took questions about his leadership style (“Winning teams and shared leadership”), managing expectations, and even how he maintained his figure despite sitting through rigorous food testing sessions. AKÏN CEO Arvin Tang shares some learning points from this insightful session, and how these points in turn, relate to the company. 1. Creating differentiated strategies for sustainability and scalability. Kenneth believes that winning the present is only half the battle won; building the future while championing short-term strategies is the true key to success. At akïn, working towards our vision of a world where all brands are Human, reminds us consistently build on our Human Brand Methodology amidst day-to-day client and project management. In order to remain efficient, strategies have to be developed and frequent reviews have to be in place. While strategy can be defined as ‘the management of scarce resources’, it would be impossible for a one-size-fits-all roadmap for a company, since there are different objectives and desired outcomes through business cycles. A short-term strategy is usually anchored on continuity/sustainability with measurable results within 1-3 years, while a long-term strategy is responsible for scalability and growth, achievable only through several years of investment. While superficial conflicts may happen between a short-term strategy and a longer-term approach, the plans have to be aligned to the organization’s vision. Over the 5 years as CEO of McDonald’s China, Kenneth made history with his strategic long-term plan of ‘Bigger. Better. Faster’ , doubling the fast food company’s revenue to over US$2.5 billion and increasing profit by more than 90%. Since the overall business environment is made up of controllable endogenous variables and often, uncontrollable exogenous variables, strategies have to be holistic to ensure efficient management and growth. What we derived from Kenneth shared that a good approach towards management is to create both internal and external strategies to not only win the present, but to also build a scalable process for the future. AKÏN subscribes to the belief that creating value (as a company) motivates ownership. Here, we encourage a collegial environment with trust as our currency. Colleagues fight hard for each other and produce results that not only add value not only to the client, but also to the individual. An important factor for good team dynamics is communication – and to be able to foster good two-way communication, one must be able to articulate their thoughts and opinions in an honest, objective manner, and to openly receive the feedback given. This is the way for an individual to improve on a personal front, and also as an effective member of the team. A good articulation of the company vision, in turn, rallies employees together, and helps them develop a sense of belonging in a winning team. At the end of the day – we’re all in this together. External: Let consumers tell you what they like. Kenneth shared his observations about countless fast food and F&B businesses that started to position their offerings as healthy food, in order to attract diet-conscious consumers. However, an interview with some parents revealed that in reality, parents actually do not mind treating their kids to unhealthy food once in a while and have fun with it, much like gym-goers’ ‘cheat day’ mentality. At AKÏN, I always remind the team to develop closed-loop lean marketing strategies – this is an iterative approach that allows consumers’ behavior and user purchasing data to be measured rapidly and in turn, reduces assumptions and optimizes our campaigns. Internal: Be a steward of your business. While a good steward of a business is able to rally both internal and external stakeholders together, it also means that one has to be a leader who walks the talk. This person should champion the building of a brand, while being able to bring and facilitate the interests of different parties (e.g. customers, partners, vendors) towards the unified goals of a long-term strategy plan. Another major responsibility of a management team is also to curate the culture within the company and create a climate of trust and motivation. Human capital investment such as technical skills upgrade, soft skills training, mentoring or coaching are pertinent for talent acquisition and retention. External: Prize brand experience over brand promotions, any day. It’s not enough for a business to be on trend – there is a need for businesses to redefine the category they are in and constantly innovate to provide unique interventions or experiences for their consumers. Kenneth mentioned that more often than not, a brand’s product promotions will not be remembered – rather, it’s the interaction/experience with the brand that will stay with customers, effectively influencing their potential lifetime value to the business. 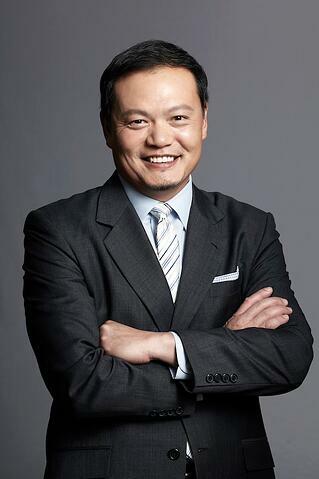 Kenneth currently runs Asian Leadership Investments, and is also pursuing his own interests in consulting. He plans to write a book about Asian leadership. We’re looking forward to reading the book when it’s published! Once again, we’d like to thank Kenneth for being a part of our SLC Programme, and for being so generous with his time and valuable insight. Kenneth with the akïn team after a fruitful SLC session! The SLC (Share, Learn and Coach) Programme is part of AKÏNs 2016 talent management and HR strategy. We champion the philosophy of enablement, and aim to help our employees’ expand on their capabilities and potential via learning opportunities and personal development. This is achieved through sharing sessions with industry leaders and domain mavericks, co-learning via MOOCs’ curriculum/WDA approved courses, and intra-team coaching. We envision for the SLC programme to help build an environment of rapid learning, that also challenges the status quo.